Recently, there has been a lot of interest in the ways new technology and media affect the curriculum, literacy provision and everyday lives of young teenagers and young adults. Yet what is less frequently considered is that many babies and toddlers from developed countries nowadays use and have access to a wide range of multiple media (McKenney & Voogt, 2010; Stone, 2010). New platforms such as touch-sensitive tablets, smartphones and interactive gaming systems are emerging at an extremely accelerated rate and entering the lives of very young children. The speed of this process and the wide array of new platforms leave many parents, as well as researchers and psychology clinicians, perplexed and concerned about the opportunities afforded by new technologies for young children’s socio-cognitive development (see O’Rourke & Harrison, 2004; Swaminathan & Wright, 2003; Wartella & Jennings, 2000). Children’s natural curiosity and confidence to experiment turns them into potentially the most successful but also most vulnerable users of new technology. Should parents be concerned about these developments? Should we, as psychologists? In 2009, more than 47 per cent of the top 100-selling Apple apps were targeted at preschool- or elementary-aged children (Shuler, 2009). There are about 100 new apps released daily, with many of them designed for babies and almost all available for a free or very low cost download. Although it has been pointed out that there is an urgent need for more specific guidelines for Apple and android app stores (see Chiong & Shuler, 2011), designers are free to class their applications as ‘educational’ as they wish. So parents’ choice for ‘educational applications’ is guided by independent application producers and Apple store marketers who have, so far, set standards based largely on profit criteria. It is clear that the industry is moving faster than we, professionals and researchers, are. Cases for the iPad are sold for children as young as six months, and thousands of pictures and videos of ‘mobile babies’ interacting with tablets or smart phones have featured in media and online platforms. Many parents are fascinated by how well their toddlers can manipulate new touchscreen gadgets, with excellent control of their little fingers which enable precise navigation (Swidey, 2009). With no real censorship or control over their educational potential and with a lack of guidance from research, we run the danger of parents adopting an erroneous view of what is educational and appropriate for their child. With more ‘traditional’ platforms like TV watching, the message for parents was clear: high-quality TV is fine, but more than two hours a day is associated with children’s poorer academic performance, social behaviour and health (Gortmaker et al., 1996; Mistry et al., 2007; but see Marshall et al., 2004). Similarly with books, there is an overall society and research agreement that sharing books with children is good for their socio-cognitive development and that the earlier they start to read the better for the child (Fletcher & Reese, 2005; van Kleeck et al., 2003; but see Mar et al., 2006). With new platforms, however, one can’t simply define the time-use boundaries and offer clear ‘user guidance’. In addition to the lack of longitudinal research in this domain, this is due to two key characteristics of new media: their ubiquity and their multiplicity. The first feature relates to the fact that new technology is very ‘mobile’ and can thus indirectly penetrate children’s lives, with quick, fragmented uses of several media, leading to multifaceted experiences. Just think of the ‘pass-back’ scenario when a mother, during a busy car journey, passes her phone to her toddler, who, without difficulties and with confidence navigates through various apps, and within seconds opens a car chasing app, moves on to a letter-teaching app or digital book, all accessible with a simple touch on the screen. One device offers multiple experiences and a treasure trove of learning opportunities. Phones are no longer used purely for spoken communication but also to take pictures, write messages and engage in a whole range of activities supported by numerous children’s applications. The image of TV couch potatoes is no longer applicable to new TV games such as Wii, with which children dance and jump and burn a lot of calories in an entertaining way. Similarly, scare stories about computers encouraging solitary activities are no longer justified, as many of the computer games children play are designed to encourage interaction among users. This implies that the experiences new media afford are multiple and multimodal, which makes it difficult to assess their overall impact as they affect several domains of children’s development. However, parents need to know the ‘when, what, and for how long’ they should be guiding their children’s engagement with new media (Takeuchi, 2011, p.42). As one large-scale US survey found, most parents recognise that denying children the opportunity of engagement with new technology would not prepare them appropriately for the highly digitalised world we live in (Takeuchi, 2011). So, should new research be performed to reflect the effects of touch-screen phones on children’s fine motor skills development? Why are we not commissioning research that looks at ways in which a four-year-old creates a profile for a Wii game and excels at playing golf on it? Perhaps what hinders current research is the mismatch between what some researchers and practitioners know about the use, functions and value of various new platforms, and what some young users know! Although there are many important factors beyond age that influence proficiency with new technology (e.g. experience, self-efficacy and education: see Helsper and Eynon, 2009), Prensky’s (2001) term ‘digital natives’ reminds us of the reality that young children are often fluent in a ‘digital language’ that many adults don’t speak. This is a problem when it comes to considering the educational potential and capacities of new platforms. Another issue relates to the speed at which new apps and devices emerge and disappear. Should we invest in researching a piece of technology that may soon lose currency? Early-years practitioners are faced with a similar conundrum: Do they need to be skilled in the use of iPads and other technologies that are, for most nursery budgets, still very expensive and possible outdated in a few years? How important is it that children are exposed to new technology early on? Are the more ‘techny ones’ getting the big share of the pie, or are they losing out on other experiences? The approach of early-years professionals to new technology could be at best described as mixed. There are settings that strictly prohibit the use of mobile phones around children, but there are also nurseries that invest in iPads to afford children the opportunity of new media engagement early on (see Learner, 2011). In the recently proposed (currently unrevised) changes to EYFS curriculum, the following recommendation is made in relation to children’s understanding of the world: children should be encouraged to ‘recognise that a range of technology is used in places such as homes and schools’ and children should ‘select and use technology for particular purposes’. Some might worry that such unspecific guidance may result in even more mixed approaches and different experiences for children in early education. Indeed, recent research has found a ‘digital divide’ between young children, with some children developing literacy skills and competences in a range of printed and digital media, and other children, whose parents either cannot afford to buy expensive new technologies and/or are fearful of their potential harm to children’s development, having very few opportunities to gain knowledge and confidence with new technologies (Flewitt, 2011). So, how can we encourage children to achieve a balance between traditional reading and writing and new literacy skills? And importantly, how much are we, psychology researchers and professionals, clear about what is meant by being ‘literate’ in a digitalised world? I believe that the key factor that hinders a clear research-based process of implementing new technology in classrooms and children’s homes is a lack of a united definition of literacy. Since the beginning of the 21st century, the debate around what constitutes ‘literacy’ in the digital age has not been laid to rest, with a wide range of skills united under the umbrella term new or digital literacy or literacies (see e.g. Hisrich & Blanchard, 2009; Marsh & Millard, 2006). There is general agreement that ‘technological changes have redefined dramatically what it means to be literate’ (van Kleeck & Schuele, 2010, p.342) and that privileging traditional forms of reading and writing is no longer tenable in the 21st century. As Lotherington (2003, p.202) puts it, ‘given the increasingly multicultural nature of urban spaces, and global communication possibilities, literacy needs to be correspondingly dynamic’. It follows that debates about new technologies are intertwined with discussions around what children’s literacy experiences are (or ought to be) and alternative conceptualisations of communication associated with digital media (Lankshear & Knobel, 2003). The reality is that new media support a variety of skills researchers are just beginning to label and recognise as developmentally salient for children’s academic and non-academic achievement. Without a specification of principal indicators of efficacy in a ‘digitally literate’ society, many gains may be lost and potential pitfalls overlooked. Is it a skill to be valued and fostered if a child knows how to play with an interactive book, including various puzzles and games associated with it? Will we, in the near future, recognise the value of the unique knowledge and skills developed through children’s interaction supported by specific new platforms? It should be strongly emphasised that the main question here is not about whether traditional encounters with literacies are better or worse, but rather about how new technologies can extend the ways children access play and literacy (see, for example, Plowman et al., 2008). The trick is to find a balance between the ‘traditional and digital’ (or traditional and new/ multimodal), so that the best of two worlds is achieved. Where does this lead us? Clearly, as with any new phenomenon, there are more questions than answers. With little specification of principal indicators of efficacy in a ‘digitally literate’ society, we run the risk of mistaken beliefs about short-term benefits or costs associated with new media. To avoid any strong-minded debates about preferred notions of literacy and research paradigms in which to investigate them, I believe it is imperative to recognise multiple outcome assessments and the value of triangulated research techniques. In a sense, the ‘multi’ and ‘inter’ characteristics of new media and the highly collaborative and transparent character of new platforms have the potential for unification rather than further ramification of early-years research agendas. To advance research in this area, I started off my doctoral study with paper-based books and have been recently involved in developing a children’s application that supports the creation and sharing of stories on iPhones and iPads. The application, ‘Our Story’, was developed with Professor David Messer and Dr Denise Whitelock, with the design work of Paul Hogan from Knowledge Media Institute (Open University). It is based on two main topics of my doctoral research – shared book reading and personalisation – and enables parents and children create and share their own personalised stories (in pictures, sound and/or text). Within minutes, an exciting and highly visually attractive digitalised book is created, which can be customised to each user – something that is more time-consuming and cumbersome with paper and scissors. In addition, a digital version of personalised stories has the potential for story exchange between carers and children across the world, within seconds and no storage problems. It makes for an interesting amalgam of old and new platforms when the child sits in parent’s lap and flicks through electronic pages of her book on an iPad. With my colleagues, Professor David Messer and Dr Rosie Flewitt, I am currently exploring the potential of iPads to enhance young children’s early literacy learning. We are working with local preschool settings and one special needs school to find out what feelings and responses the iPad generates in staff and children. Another question we hope to answer with our study is what opportunities iPads offer for early literacy development in a digital age, and whether there are any advantages in using touch-sensitive screens with young children. We hypothesise that some benefits of iPads (such as their portability, highly attractive format and intuitive design) may facilitate children’s educational activities in an enjoyable way. My take-home message for early-years practitioners and researchers is that regardless of how techno-phobic or techno-savvy you are, you need to recognise the rapidly changing landscape of digital technologies in young children’s lives. Mirroring the multifocal nature of new media, it is important that in all domains of early-years research, we acknowledge the influence of new platforms potentially implicated in young children’s lives. The incorporation of an increased understanding of new media in young children’s lives makes our work more relevant, up-to-date and complete (Labbo & Reinking, 1999). In my personal experience, acknowledging digital media in childhood research may spin into a research journey of personal empowerment with the use of new platforms. Chiong, C. & Shuler, C. (2010). Learning: Is there an app for that? New York: The Joan Ganz Cooney Center at Sesame Workshop. Fletcher, K.L. & Reese, E. (2005). Picture book reading with young children. Developmental Review, 25, 64–103. Gortmaker, S.L., Must, A., Sobol, A.M. et al. (1996). Television viewing as a cause of increasing obesity among children in the United States, 1986–1990. Archives of Pediatrics & Adolescent Medicine, 150, 356–362. Helsper, E. & Eynon, R. (2009). Digital natives: Where is the evidence? British Educational Research Journal, 1–18. Labbo, L. & Reinking, D. (1999). Negotiating the multiple realities of technology in literacy research and instruction. Reading Research Quarterly, 34, 478–492. Lankshear, C. & Knobel, M. (2003). New literacies: Changing knowledge and classroom learning. Open University Press. Lotherington, H. (2003). Multiliteracies in Springvale. In Bayley, R. & Shecter, S.R. (Eds.) Language socialization in bilingual and monolingual societies (pp.200–217). Clevedon: Multilingual Matters. Mar, R., Oatley, K., Hirsh, J. et al. (2006). Bookworms versus nerds. Journal of Research in Personality, 40, 694–712. Marsh, J. & Millard, E. (2006). Popular literacies, childhood and schooling. Abingdon: Taylor & Francis. Marshall, S.J., Biddle, S.J.H., Gorely, T. et al. (2004). Relationships between media use, body fatness and physical activity in children and youth: A meta-analysis. International Journal of Obesity, 28, 1238–1246. McKenney, S. & Voogt, J. (2010). 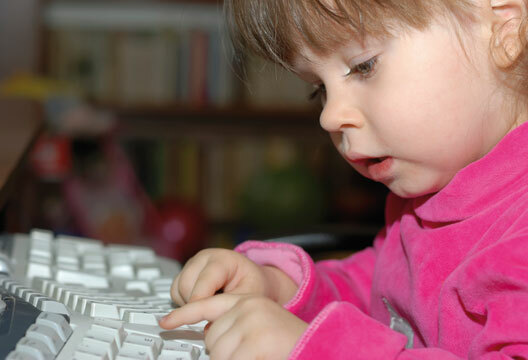 Technology and young children: How 4–7 year olds perceive their own use of computers. Computers in Human Behavior, 26, 656–664. Mistry, K.B., Minkovitz, C.S., Strobino, D.M. & Borzekowski, D.L.G. (2007). Children’s television exposure and behavioral and social outcomes at 5.5 years: Does timing of exposure matter? Pediatrics, 120, 762–769. O’Rourke, M. & Harrison, C. (2004). The introduction of new technologies: New possibilities for early childhood pedagogy. Australian Journal of Early Childhood, 29, 11–18. Plowman, L., McPake, J. & Stephen, C. (2008). Just picking it up? Young children learning with technology at home. Cambridge Journal of Education 38, 303–319. Prensky, M. (2001). Digital natives, digital immigrants Part 1. On the Horizon, 9, 1–6. Swaminathan, S. & Wright, J. (2003). Educational technology in the early and primary years. In M.R.J. Joan & P. Isenberg (Eds.) Major trends and issues in early childhood education (pp.136–149). New York: Teachers College Press. Takeuchi, L.M. (2011). Families matter: Designing media for a digital age. New York: The Joan Ganz Cooney Center at Sesame Workshop. van Kleeck, A. & Schuele, C.M. (2010). Historical perspectives on literacy in early childhood. American Journal of Speech-Language Pathology, 19, 341–355. van Kleeck, A., Stahl, S.A. & Bauer, E.B. (2003). On reading books to children. Mahwah, NJ: Lawrence Erlbaum. Wartella, E.A. & Jennings, N. (2000, Fall/Winter). Children and computers: New technology, old concerns. The Future of Children, pp.31–43.